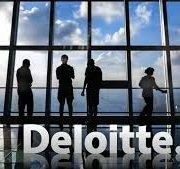 Deloitte has received its alternative business structure (ABS) licence, becoming the last of the Big Four to set up a legal arm in the UK. The Solicitors Regulation Authority (SRA) confirmed that it has granted Deloitte the right to operate as a multi-disciplinary practice. The licence came into effect on the 15 June. The new move will allow the big four accountancy firm to provide legal services as an ABS in the UK for rights of audience, conduct of litigation, reserved instrument activities, probate activities and administration of oaths. Deloitte applied for the licence in January. All three of Deloitte’s rivals applied for ABS status in 2014; PwC Legal gained a licence from the SRA at the start of that year, while KPMG and EY followed suit later in 2014. The UK was previously a notable absentee from Deloitte Legal’s network, until the branch announced an alliance with US immigration law firm Berry Appleman & Leiden (BAL) at the beginning of the month. Through the alliance, it will acquire BAL’s non US businesses in the UK, Australia, Brazil, China, Dubai, Mozambique, Singapore and South Africa, as well as a base in London.